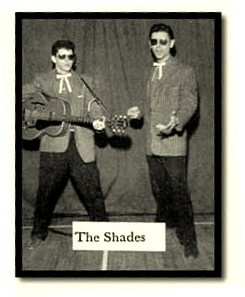 Lewis Allen Reed(later know as Lou Reed) and his high school friends Phil Harris and Al Walters, after a successful gig at a school variety show, got together one night and The Shades aka The Jades were Born they wrote "Leave Her For Me" and "So Blue," two paint-by-numbers doo-wop songs. 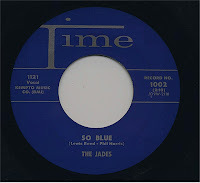 Still, the songs were compelling enough, and the Jades soon caught the attention of A&R man Bob Shad, who worked for Mercury. Like many A&R men, Shad dreamed of running his own label, and figured recording a trio of Long Island kids would be as good a place as any to start. 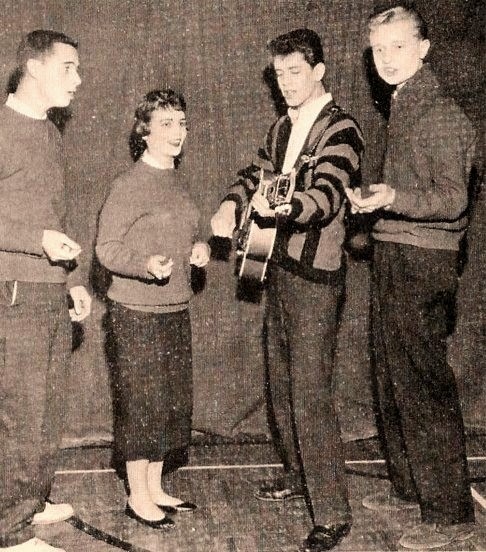 So Shad got them into the studio, along with a session band that featured Curtis; Reed played rhythm guitar and sang backup, Walters sang bass and Harris sang lead. At one point, Shad felt the kids weren't delivering adequate vocals, and brought in a session singer who, according to Reed, had an enormous mound of snot hanging out of his nose. The sides_So Blue/Leave Her For Me. were released in 1958 on the Time label.